Have you registered your business for Making Tax Digital for VAT? Well if you haven’t and your business has a taxable turnover above £85,000 then you must keep digital records and file VAT returns using HMRC approved software. As you are probably aware there has been a lot of advertising from the Revenue reminding you about the Making Tax Digital campaign. This was not just because the deadline was approaching but also to remind you of the new rules and penalties for not complying. If you think that you are up to date with the changes, then you should be aware that the government are continuing to make changes and are continuing to update the VAT Notice 700/22. What is the VAT Notice 700/22? To us as accountants this document is a record of exactly what needs doing, who it needs to be done by, and when it must be completed. Our clients do not have to worry about the 700/22 as we as their accountants look after this for them. The changes to the document make it quite hard for people to keep up on, but for most people they only take notice of the exemptions section. If you believe that you should be exempt because of age, then HMRC will judge each case independently based upon how your circumstances impact your ability to follow the rules for MTD. Changes have been made as to the original document as it was originally published that any business who has had a taxable turnover above the VAT threshold must comply with MTD for VAT from 1 April 2019. You should be aware that the rules have changed and now the turnover it is for the 12 months before the date of the turnover test (So, from 1 April 2018 to 31 March 2019). You should make sure that the programs used for recording and processing financial information must link together and digitally. You are not allowed to manually copy information across the programs. The link between the programs must be automatic as this reduces fraud and potential human errors of inputting the data. Do not panic if you are still unsure about how to integrate your current software as HMRC has allowed a year’s grace period until the 31 March 2020. This is so users can get used to the systems or source and use other software packages. If you take responsibility for your own VAT returns you must make sure you have MTD- compatible software (this can be found on the HMRC website). There are even some free software packages. You may not have to completely change your current software. If you are using spreadsheets, then you can continue using them if they are able to directly communicate with HMRC’s systems. You must ensure that your MTD capabilities of your software are enabled before you allow authority to the software through your Government Gateway account. The last step is to register for MTD through the Gateway. You should be aware that once you have registered to manage your VAT returns via MTD process then it is final and you cannot go back.  If you are unsure about the process and would like some advice to ensure that you are compliant with MTD, or on VAT returns, then get in touch with us and we will be happy to offer guidance and support.